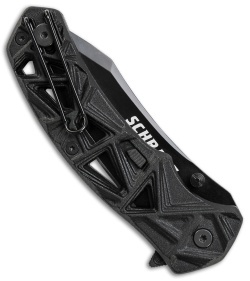 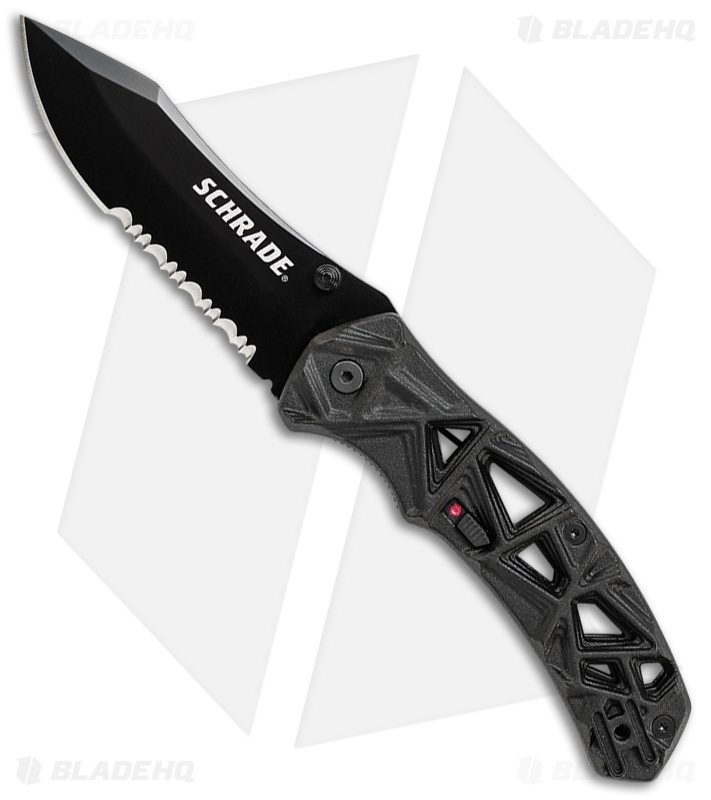 The Schrade Shizzle features the MAGIC assisted opening mechanism to offer snappy blade deployment using the flipper or thumb studs, and comes equipped with a sliding lock for secure carry and storage. This model is built with a black finished, partially serrated AUS-8 stainless steel blade. 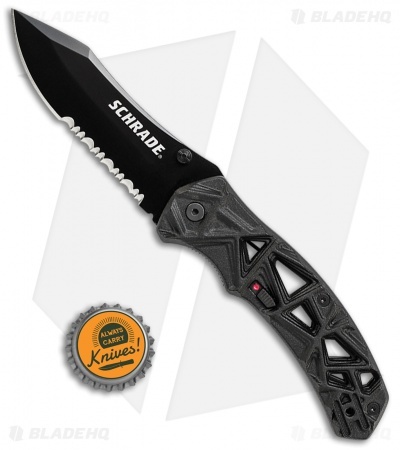 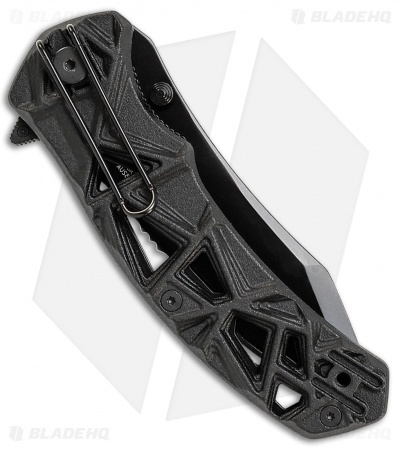 Its skeletonized aluminum scales provide a lightweight build for everyday carry convenience. Includes a four-way reversible deep carry wire pocket clip.